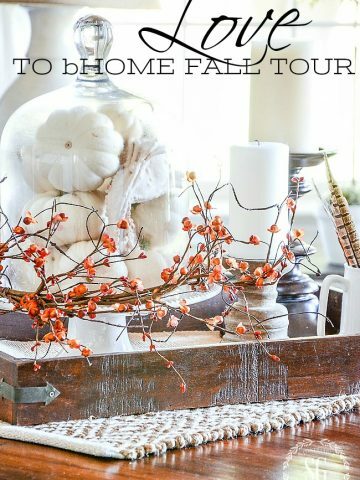 WHAT IS BHOME, HOW TO GET IT (YOU WILL WANT IT) AND A GIVEAWAY! Dear StoneGable readers, I HOPE YOU HAVE JOINED BHOME!!!!! Now, both iphone/ipad users and Android users can download our FREE APP and be a part of our fabulous creative and informative Home And Garden Community! Welcome Android users, we are so happy you are joining us!!!! You can find StoneGable on bHome as well as 40 of your favorite blogs all in one place… ON YOUR PHONE!!! Yes. YOUR PHONE!!!! No more idly standing in line at the grocery store or sitting in your car waiting to pick up the kids. 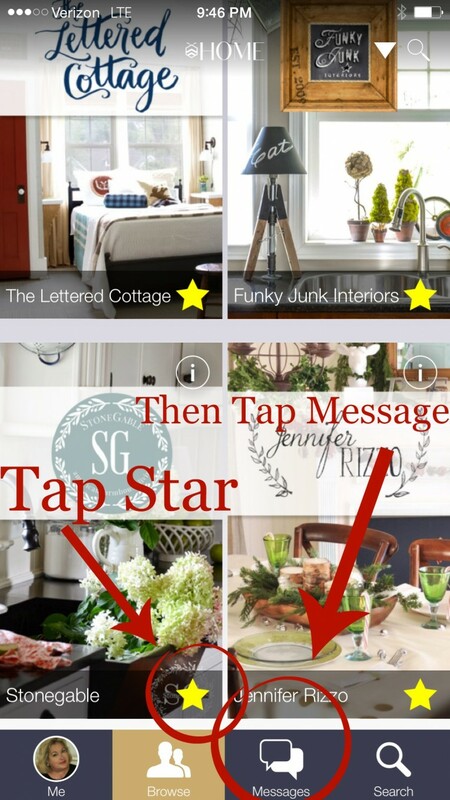 Now you can interact… with all the bhome bloggers and more right from your cell phone! Can you tell that I am over-the-moon excited? We are overjoyed that bHome is available for our Android friends to download so they can be a part of the bHome community too! 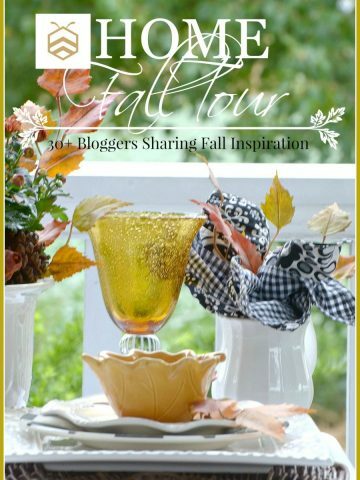 One big happy hive of bloggers, readers and more!!!! Here’s how to enter the GIVEAWAY and find me at bHome. Download the app at app store on your Android or iphone. To see a great tutorial for downloading click HERE and join. Once you have joined bHome hit the “Browse” button at the bottom of your homepage and then find my blog, StoneGable, and tap the star in the bottom right hand corner to make me a favorite! Once you have tapped my star, look at the bottom of your screen and you will see “messages”. Click on messages and you will see this… Just tap the link and you will be entered to win. 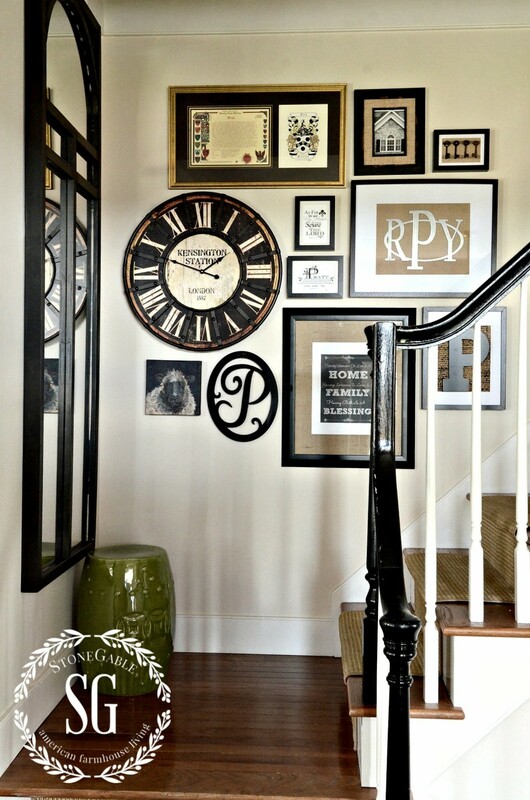 But even better than the clock… and I dearly love the clock… is the new bHome Community you will be a part of. 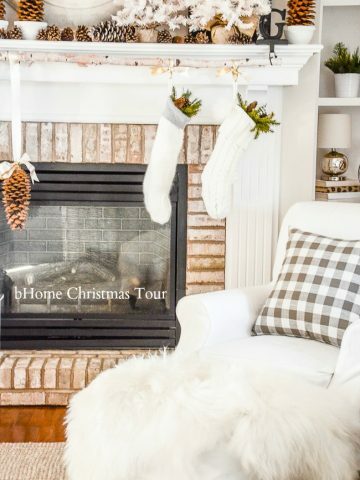 In a nutshell, bHome is a place on your smart phone that you can visit over 40 great Home and Garden bloggers, view their Blogs and Pinterest boards and even pin right from them to YOUR Pinterest boards! YOU can also catch up on your favorite blogger’s Facebook, Instagram, Google + and Twitter accounts and interact there too. bHome is a beautiful (it really is) and easy, FREE site so you… THE READER…can be at the center of all our “hive’s” activity. And you can leave messages for and chat with your favorite bloggers!!! We can chat, you and me!!!! YIPPEE! I love that! Did you know that I also have a playlist you can listen too at bHome? Let me just say that I’m channeling my Shannia Twain MAN, I FEEL LIKE A WOMAN vibe! Come on over and sing into your hairbrush with me!!!! Nothing says fun like a little hairbrush Karaoke!!!! Now, what are you waiting for? 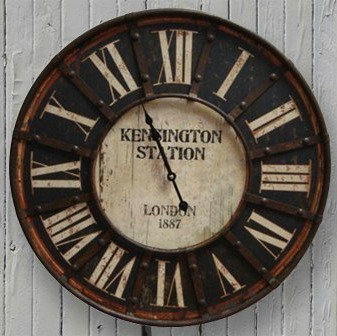 Join, enter to win the Kensington Clock and get inspired!!! I’ll see you over at the bHome hive!!!! Please help to spread the word. Pin this to your Pinterest boards! Thanks so much!!! Yes, our creator Kelly at My Soulful Home decided it was time to concentrate on other things. You can ALWAYS find me right here! Ive joined Yvonne ! what fun…. I have downloaded and installed BHome, but I am interested in adding my blog to BHome. How might I go about adding my blog to it? So happy that bHome is now available for my android phone! I’ve downloaded the app and made you a STAR, Yvonne, but you’ve always been a star in my book! Downloaded this puppy today! SO happy it is finally available for us android users!!!! I can’t wait to get started… BTW you were the first ‘star’ I found and clicked!!! I guess I’m the only one out here who doesn’t have a smart phone and all the other latest gadgets so I can’t win anything….oh well. I do not have a smart phone either and I feel frustrated about not getting a chance. I love that clock, Yvonne! It is certainly an impact piece. I’m so glad bHome is now available for the Android….I was using my old iPhone that I passed down to my teen son to access it ~ it’s so nice to use my own phone for it now. I’m lovin’ the bHome experience. 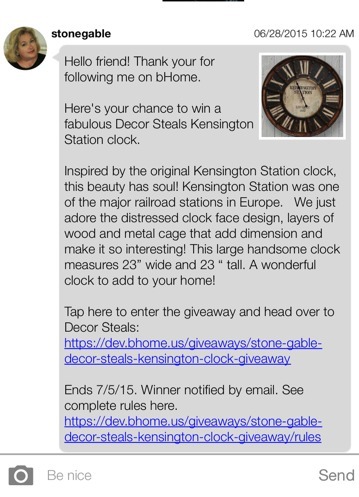 Great giveaway Yvonne, great clock and great mobile app!! So exciting Yvonne!! Our community is growing & growing! The clock is lovely!! Best of luck to all the bHome’r who enter – see you all on bHome! Is this available for iPad as well? YES!!! Head over to your app store and download it for free. 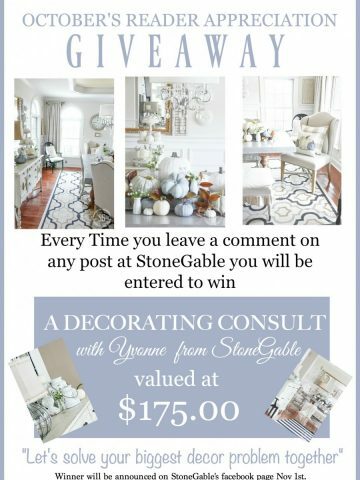 Then enter to win the clock!!! See you at bHome, Tammy!!!! Yes, make StoneGable by pinging the star! 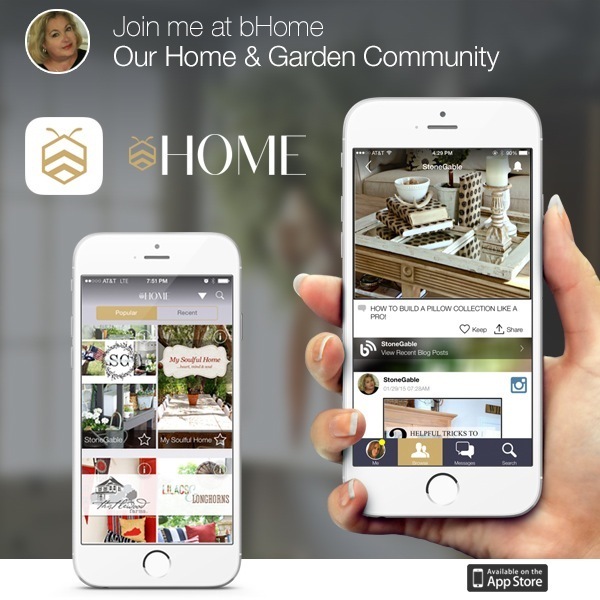 I have the bHome app on my iPhone and love it! Have a wonderful summer day, Yvonne! I’m thrilled that you are part of our bHome Community!! !